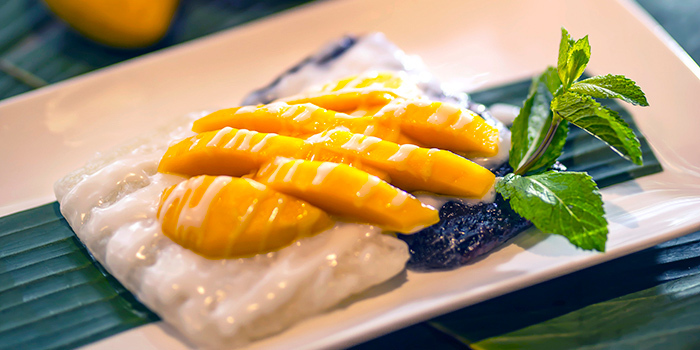 Authenticity forms the cornerstone of the cooking at Nahm, Vietnamese & Thai. 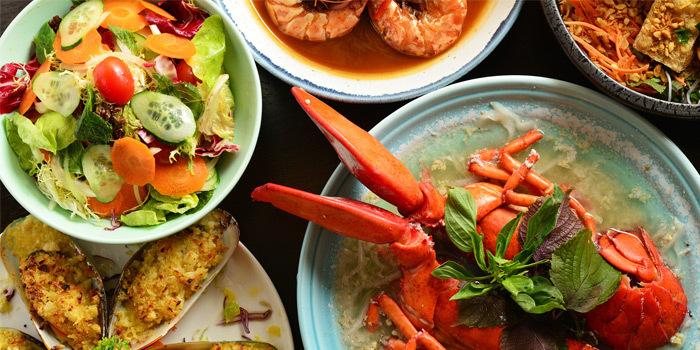 At this esteemed dining haunt, chefs insist on recreating the true taste of Southeast Asia. 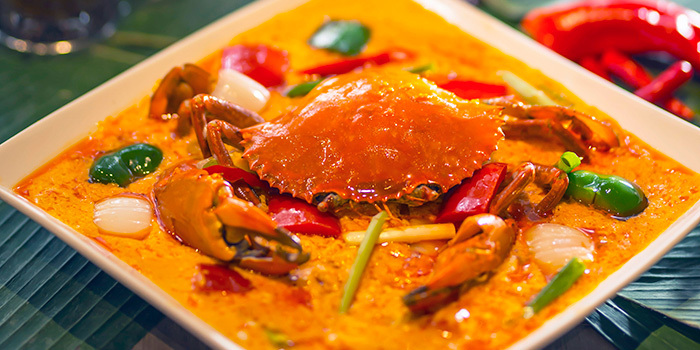 That starts from their use of chilli and herbs down to the way dishes are served. 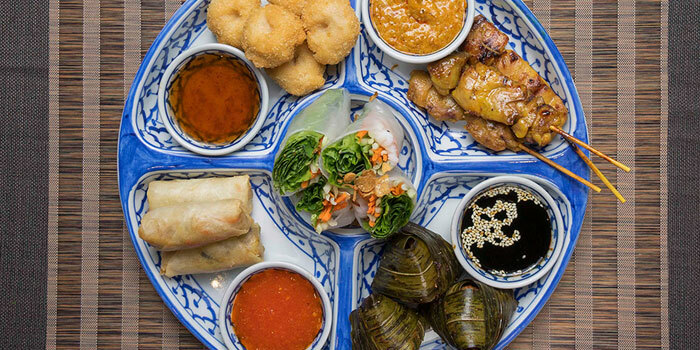 Spicy curries, tangy salads, or sweet treats – whatever you’re looking for, you’ll find it here at Nahm. Start your culinary adventure with any number of small plates designed to replicate the feel of eating alongside a street market. 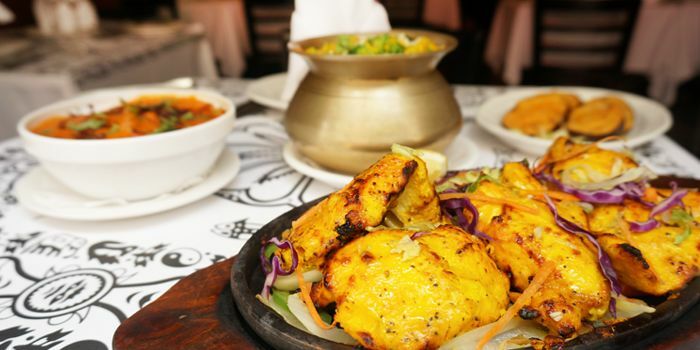 We’re partial to the Chicken Satay with Peanut Sauce, as well as the Deep-fried Tofu that comes topped with bean shoots and nuts. Meanwhile, the Double-cooked Butternut Squash with Shredded Chicken in Clear Soup is another popular favourite. 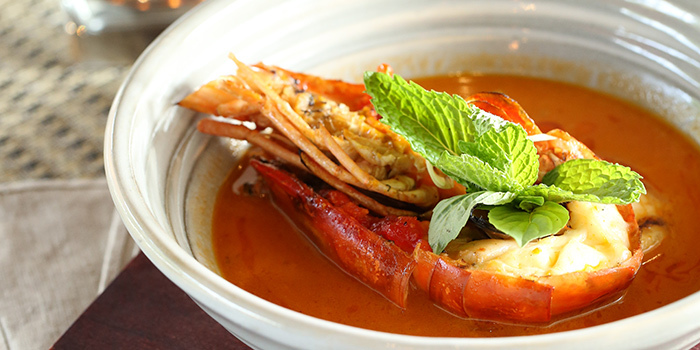 But Nahm truly excels with its oh-so-tender Braised Lamb Shank with Tamarind Curry, while seafood lovers will also find lots to love in the Baked King Prawns slathered in a spicy pomelo and peanut sauce. Then end the meal with a sweet treat such as the unique Baked Banana Toffee Pudding served with Honeycomb Ice Cream.